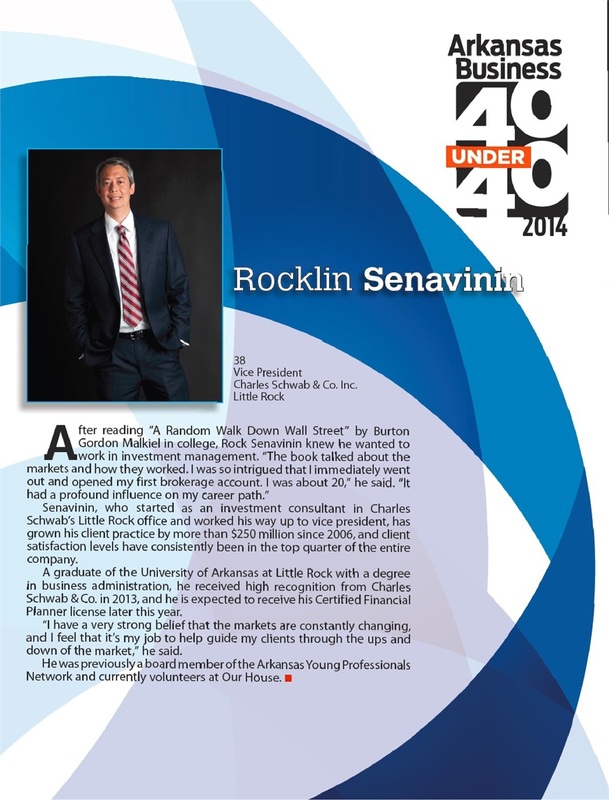 Roc was named one of Arkansas Business' 40 Under 40 in 2014, which honors 40 intriguing business and political leaders under 40 years old. He is proud of this designation because it shows his passion for business, his willingness to help his clients, and his dedication to his career. Each year, Arkansas Business selects a 40 Under 40 list to recognize intriguing business and political leaders under 40 years old. Award candidates are nominated by peers and are evaluated against 4 objective criteria to select award recipients. These ratings should not be construed as an endorsement of the adviser by any client nor are they representative of any one client's evaluation. Additional information, including management fees and expenses, is provided on Fiduciary Wealth Management’s Form ADV Part 2. As with any investment strategy, there is potential for profit as well as the possibility of loss. Fiduciary Wealth Management does not guarantee any minimum level of investment performance or the success of any portfolio or investment strategy. All investments involve risk (the amount of which may vary significantly) and investment recommendations will not always be profitable. The investment return and principal value of an investment will fluctuate so that an investor’s portfolio may be worth more or less than its original cost at any given time. The underlying holdings of any presented portfolio are not federally or FDIC-insured and are not deposits or obligations of, or guaranteed by, any financial institution. Past performance is not a guarantee of future results. 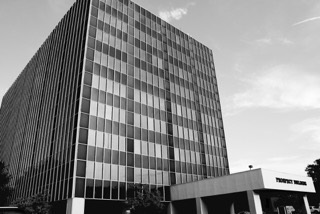 Fiduciary Wealth Management, LLC (FWM), is a registered investment adviser located in Little Rock, AR. The information provided on this website is for informational purposes only and is not intended to provide any investment advice or service. The contents offer general information only about FWM and its services and should not be acted upon without obtaining specific advice from a licensed professional regarding the readers own situation or concerns. FWM and its representatives are in compliance with the current registration and/or notice filing requirements imposed upon SEC/State registered investment advisers by those states in which FMW maintains clients. For information pertaining to the registration status of FWM please contact the SEC and/or the state securities law administrators for those states in which FWM maintains a notice filing. A copy of FWM’s current written disclosure statement (Form ADV Part 2) discussing FWM's business operations, services, and fees are available from FWM upon written request. FWM does not make any representations or warranties as to the accuracy, timeliness, suitability, completeness, or relevance of any information prepared by any unaffiliated third party, whether linked to FWM’s website or incorporated herein, and takes no responsibility therefor. All such information is provided solely for convenience purposes only and all users thereof should be guided accordingly. FWM enters into a new client relationship only after it provides and obtains certain information. Every prospective FWM client is provided with a copy of FWM's Privacy Notice, Form ADV Part 2A and B. Additional information, including management fees and expenses, is provided on our Form ADV Part 2. As with any investment strategy, there is potential for profit as well as the possibility of loss. We do not guarantee any minimum level of investment performance or the success of any portfolio or investment strategy. All investments involve risk (the amount of which may vary significantly) and investment recommendations will not always be profitable. The investment return and principal value of an investment will fluctuate so that an investor’s portfolio may be worth more or less than its original cost at any given time. The underlying holdings of any presented portfolio are not federally or FDIC-insured and are not deposits or obligations of, or guaranteed by, any financial institution. Past performance is not a guarantee of future results. Additional information about Fiduciary Wealth Management, LLC is also available on the SEC’s website at www.adviserinfo.sec.gov. You may search this site using a unique identifying number, known as a CRD number, Fiduciary Wealth Management, LLC’s CRD Number is 284324.